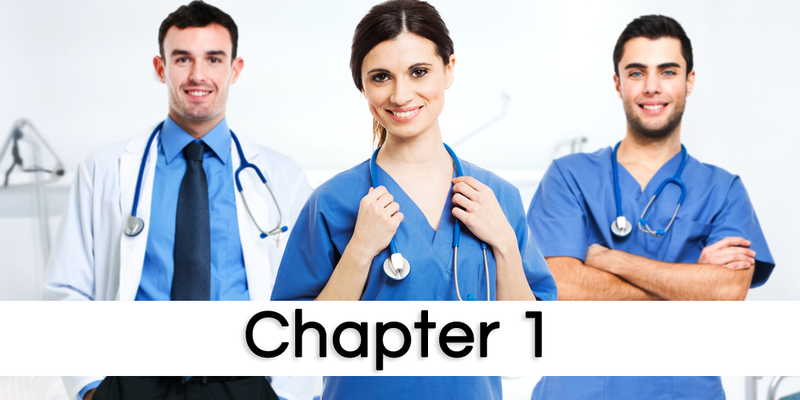 The nursing assistant plays a vital role in the healthcare industry. Someone in this position needs to remain professional in all situations and always remain responsible and serious. This includes remaining respectful while around patients, other members of the medical community and while conversing on the phone. There are several legal requirements for someone who works as a nursing assistant. The next several points are all key factors of working as a nursing assistant and how to take care of not only patients but of oneself in order to ensure their work is performed effectively while remaining helpful to the other members of their healthcare team. One of the most important aspects of working as a nursing assistant is simply being another set of eyes and ears for the team. This individual helps monitor patients and others within the facility. Because they offer the additional assistance in monitoring patients, it is up to them to report any kind of patient information to the necessary member of the healthcare team. While on the job they will have a direct higher up they report to. This individual should be told of any changes within a patient, including any kind of abnormal shifts in their vital signs or overall condition. If the patient begins to behave in an unusual manner, this should be reported. Additionally, if there is any sign of neglect by another member of the healthcare team, it is up to the nursing assistant to let the appropriate person on the staff know about this. When a nursing assistant does report information, they need to follow the established chain of command. There are many other members of the staff and, when hired on, the established chain of command will be identified. Every facility within the healthcare community is a little bit different, which is why it is important to stay connected and focus on this chain of command. Going to someone who is not the next line of command can come across as going over someone’s head, which may lead to work disputes and other problems within the team. As long as the chain of command is correctly followed, all problems and issues will be told to the next individual, who will know how to handle the situation and who (if anyone) should be informed next. It is up to the nursing assistant to inform the next member in the chain of command about essential resident information. This usually is the nurse in charge of the particular patient. From time to time the nursing assistant may be required to provide the information to different nurses within the team. When reporting, it is crucial for the information reported to be correct. In the event of an emergency or if there needs to be quickly administered services, the nursing assistant may also be asked to assist the nurse in charge of the patient. In the event of a dispute or problem between a nurse and the nursing assistant, this information will typically go to the head nurse of the shift. If there is a particular problem the nurse in charge during the shift will help correct the issue. Following the chain of command, above the nurse in charge is the nurse manager of the given unit. This isn’t just the nurse in charge of the shift but the nurse that oversees the entire unit within the facility. If there is still a problem after going to the nurse in charge, the information and issue will push up the chain of command to the nurse manager of the unit. As the nurse manager is ultimately in charge of the functionality of the entire unit, it is up to this individual to make sure everything runs smoothly. They also are in charge of overall resident outcome and all employee performance. They will look over this information and make any necessary changes (including disciplinary) whenever necessary. If they identify a nurse, head nurse or nursing assistant who is not carrying their weight or performing their duties they may recommend terminating the individual. Now, in larger medical facilities, there may be someone above the nurse manager, and this is the nurse director. In smaller facilities, the nurse manager is the head of all nurses as there is only one unit. However, with the larger locations, such as in a hospital, there will be a nurse director. This individual overlooks several nursing units. In a single hospital, there might be several nurse directors overseeing different units, although this is not as common. Depending on the location, the nurse director may also be referred to as the chief nursing officer (CNO). The CNO will look over all nurses and nursing assistants in an entire facility. The CNO is a big picture individual who does not usually become involved with smaller issues. They will initiate projects and decide how different units are utilized. They may also make changes to the overall work environment in order to help it flow more efficiently. However, minor disputes and problems of these kinds should be handled well before reaching the CNO. It is very important for a nursing assistant to follow the correct chain of command. They also must provide resident information in a timely manner while following this correct chain of command route. Failure to inform the necessary information in a timely manner may result in a host of ramifications and even punitive actions against the nursing assistant. If this becomes a repetitive problem it may end up costing the nursing assistant his or her job. In extreme cases, the nursing assistant may even lose their nursing assistant certification, although this usually only happens if the failure to report information affects the medical wellbeing of one of the patients. That is why it is so crucial to always report and address all resident information as quickly as possible. Timing matters a great deal in the healthcare industry. There are several different aspects to reporting information a nursing assistant sees and hears. When a nursing assistant provides the information directly to a figure above them in the chain of command, the information should contain different bits of information, including the patient’s name, the current situation, the exact time the event took place, and any circumstances surrounding the current event. During a shift transition, all information is handed off to the incoming nursing and medical staff to ensure all necessary healthcare members are made aware of what’s going on. During this transition, the nursing assistant will provide information to the incoming nursing assistant, including all necessary shifts in current patient data. One of the other forms of reporting includes providing smaller bits of information to other healthcare team members throughout the shift, and not just at the conclusion. When the transition handoff of information occurs, it is up to the nursing assistant to strategically offer information in an easy to follow, concise manner. This way, the incoming nursing assistant can easily educate him or herself on what is going on and what they may need to focus their primary attention on. It is not necessary to offer small details that are not important, such as vital signs that did not change from a patient over the course of the previous shift. There is much to do and the incoming medical staff members simply do not have the time to read up on every little detail. These are details they will find out as they make their rounds. All superfluous information should be stripped out of the reports and instead, concise, essential details need to be the only data provided. There are some healthcare facilities that take advantage of a system known as SBAR. This is a method designed to guide communication during shift transitions. SBAR is short for Situation, Background, Assessment, and Recommendation. Basically, when using the SBAR, a nursing assistant is going to include only the bullet points of the situation, background, assessment, and recommendation. This will get everyone else on the incoming staff up to date, without reading through unnecessary details and information. Beyond providing reports on patient information, the nursing assistant will also need to provide necessary up to date records on the patient’s chart. A patient’s chart is their specific, legal record and it needs to be kept up to date. All observations and changes in the patient need to be noted here on the chart. With the advancement of technology, most charges are not digitally updated and saved as electronic health records. This way, nursing assistants can be trained off of this information as they are learning the ropes of the new position. Some information that might be included within a patient’s chart includes any observational changes, the time certain tasks are carried out, what task was carried out, how the task was carried out and any kind of patient reaction. Different medical facilities may use a range of charting methods and systems. The documentation of a patient is required by the facility and the policy and regulatory guidelines given by the facility. The two most common methods of maintaining a chart system are comprehensive charting and charting by exception. When using comprehensive charting, this form will include everything about a patient, whether it is normal or abnormal. It is as thorough a form of charting as it is available. In the event of a patient review (such as if a safety incident occurred), it is possible to look through all information of the patient. This form of charting does require nursing assistants and all other medical professionals to include everything in relation to the patient. When charting by exception, a nursing assistant will record all vital signs and include only abnormal information within the documentation. Now, in some cases, this kind of charting is seen as controversial as a considerable amount of information is left out of the charts. Those who are in favor of charting by exception say it is the better way to chart as it is easier to identify potential problems and shifts in the patient. By only including shifts in patients, it reduces the potential for documentation error. A patient is assumed to be normal and if they are not, the information is included. In an extremely busy setting, this form of documentation does save time. When starting up in the healthcare industry, a nursing assistant will need to learn a long list of abbreviations used in the workplace. Abbreviations are used to make communication easier and more efficient. Plus, as a considerable amount of healthcare terminology is based on Latin, using the full terms for an activity or event may prove difficult. There are going to be times when a nursing assistant is faced with the decision of whether new information should be a routine report, or it needs to be reported urgently. If the information is seen as routine, it may not reach the next member in the chain of command for some time. However, if the change is vital and urgent, it needs to be reported to the next nurse as quickly as possible. At times, a nursing assistant needs to feel out the current care schedule of the staff. If the staff is busy, reporting routine information may need to be delayed in order to provide the necessary level of care to current patients. However, this all changes if there is an urgent need for a nurse. What constitutes the need for an urgent report? If a patient’s signs become abnormal or if their behavior changes suddenly or their condition worsens, these changes are seen as urgent and need to be reported to someone in charge and acted on right away. A nursing assistant needs to use his or her training to determine if the vital shifts put the patient in danger or if the changes in the patient will not have an effect on their health. In general, the nursing assistant needs to error on the side of caution and, if they believe there is a possible urgent situation occurring, report it as urgent. In the healthcare industry, it is always better to be safe.